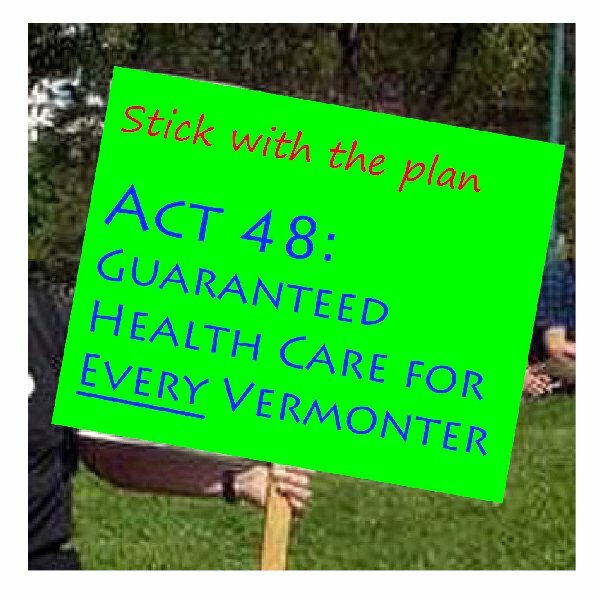 Vermont is poised to lead the nation and be the first state to guarantee every Vermonter access to health care as a publicly financed good. In January, when the 2015 Legislature convenes, the creation of a fair and equitable financing structure for Green Mountain Care will be a top priority. We are asking elected officials to recommit to Act 48 and reminding them Vermonters strongly back this legislation. You can show you support by signing our "Stick with Act 48" petition.